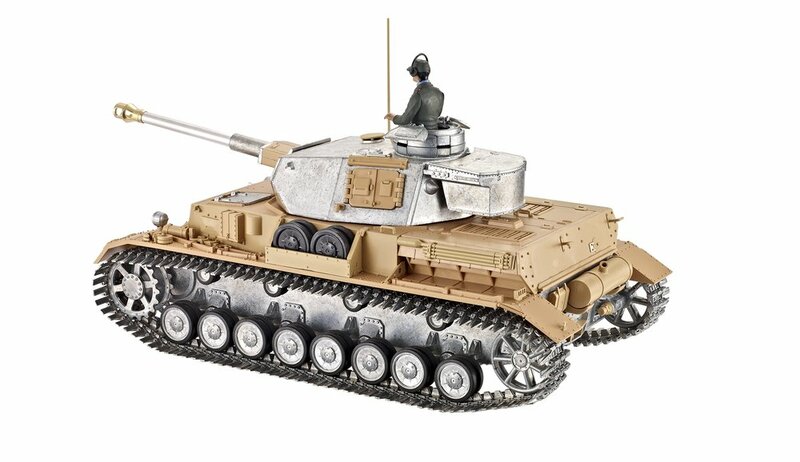 This is the new and updated Panzer IV tank from Taigen! This Panzer IV has a new metal lower hull with a new easy open latch system, a new upper hull with working metal hatches, and new metal turret! The lower hull features new super tough stamped 2mm+ thick metal lower hull with our metal suspension system that is compatible with our older plastic edition tank’s drive wheels, suspension, road wheels, idlers, and tracks. This lower now has a new latch system which is now accessible from the bottom of the tank. The upper hull has also been reworked to add more details and strength as well as new working metal hatches. The turret has also been updated to a metal version, now has functional turret hatches on each side, includes a new metal cupola, and metal mantlet too. The Panzer IV is available in either airsoft or infrared versions. Both tanks come with track recoil when firing (with the option to turn off track recoil) while the infrared also includes barrel recoil when firing and our LED flasher in the end of the barrel. Each tank comes with an accessory kit, tank battery and charger, transmitter, smoke fluid, and manual. Infrared unit sold separately. 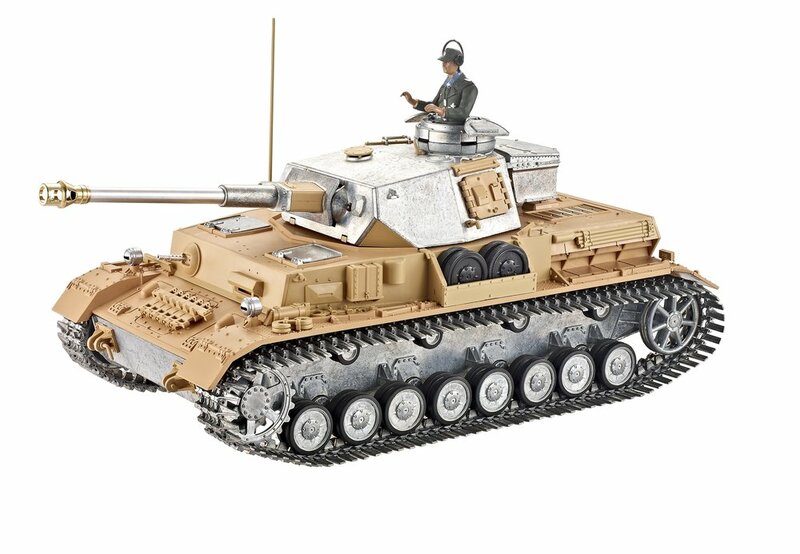 This is the winter paint scheme edition of the Panzer IV and also comes equipped with a set of winter tracks as well. New Taigen V3 2.4GHz Transmitter & Electronics System!